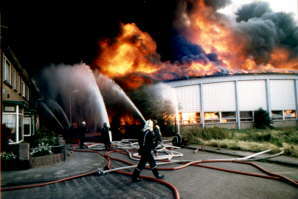 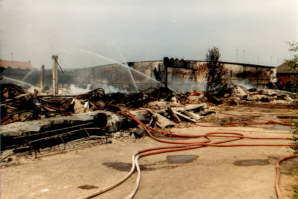 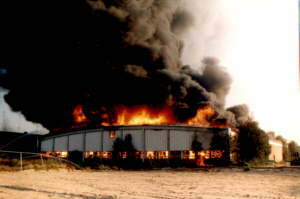 A major fire in a carpet factory (Tapijtfabriek Peters) in Deventer was discovered on wednesday august 14, 1985 early in the morning. 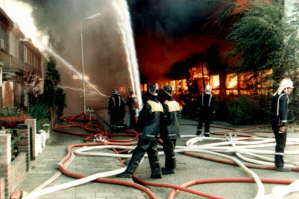 150 firefighters from the Deventer fire department and fire departments from neighbouring towns (Zutphen, Bathmen, Gorssel, Diepenveen) fought the fire. 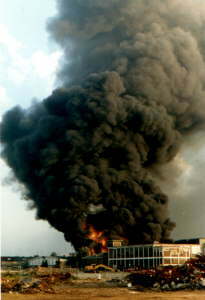 Large quantities of synthetic fibers stocked in the factory burnt with the release of big clouds of smoke. 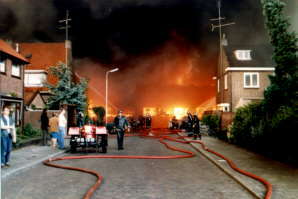 The first objective of the firefighters was to protect the neighbouring residential homes from heat and fire. 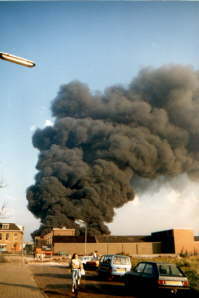 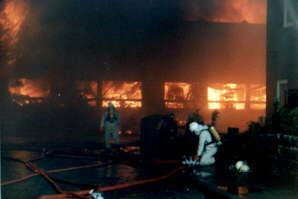 This was the largest fire in Deventer since 1966. 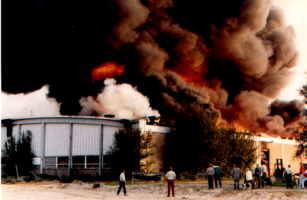 The factory was lost completely, damage was more than $ 5 million. 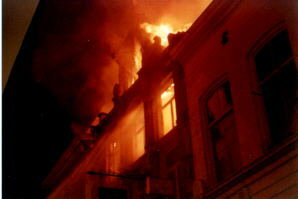 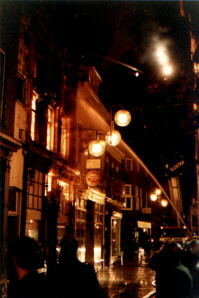 A historic building in one of the narrow streets (Kleine Overstraat) in the historic city centre of Deventer caught fire on saturday night of july 25, 1987. 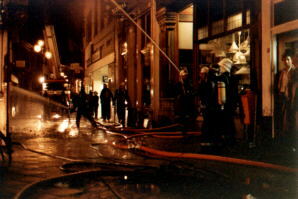 The Deventer fire department dispatched 70 firefighters to fight the fire in the narrow streets of the dense built city centre. 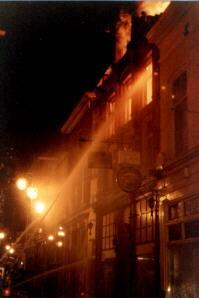 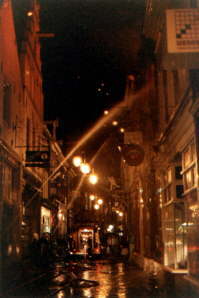 There was a great risk of flashovers to neighbouring buildings due to wind, heat and clouds of sparks. 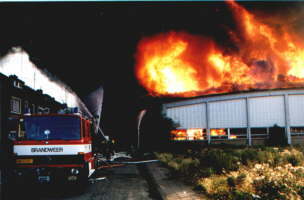 The firefighters succeeded to contain the fire to this building only. 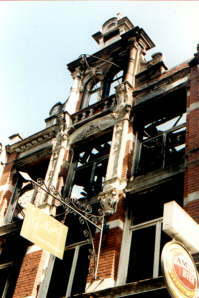 The building has been restored a year later.